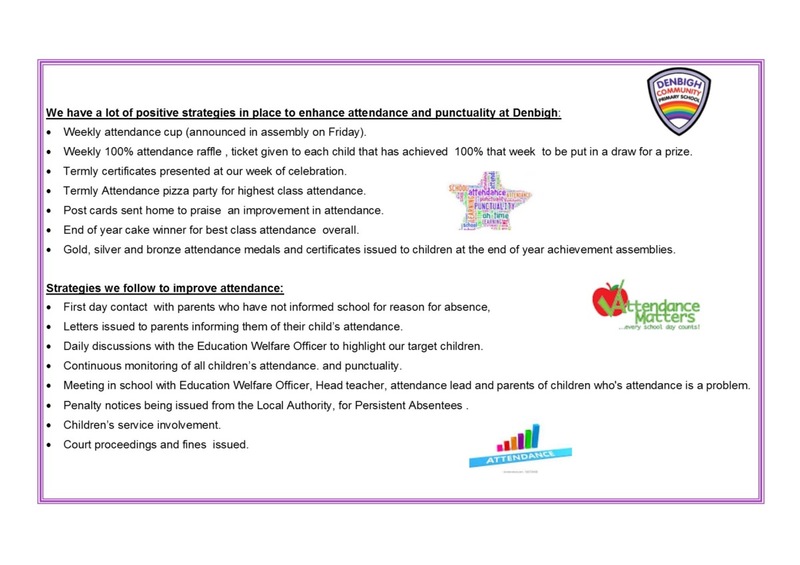 Every year we strive to achieve excellent attendance and punctuality for our children. 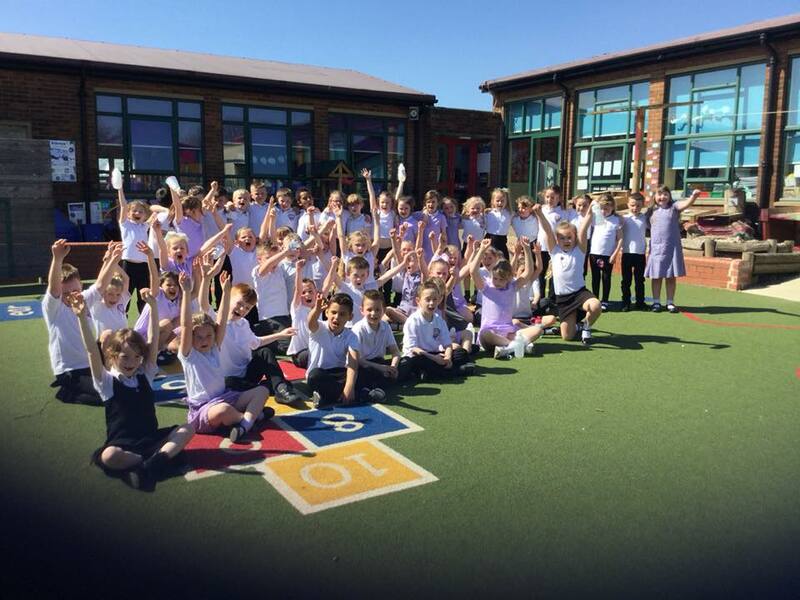 We reward excellent attendance on a weekly basis by having class winners, individual 100% awards, termly class and annual best class attendance. Good attendance for your child leads to excellent progress in learning and that’s what we want for your children. 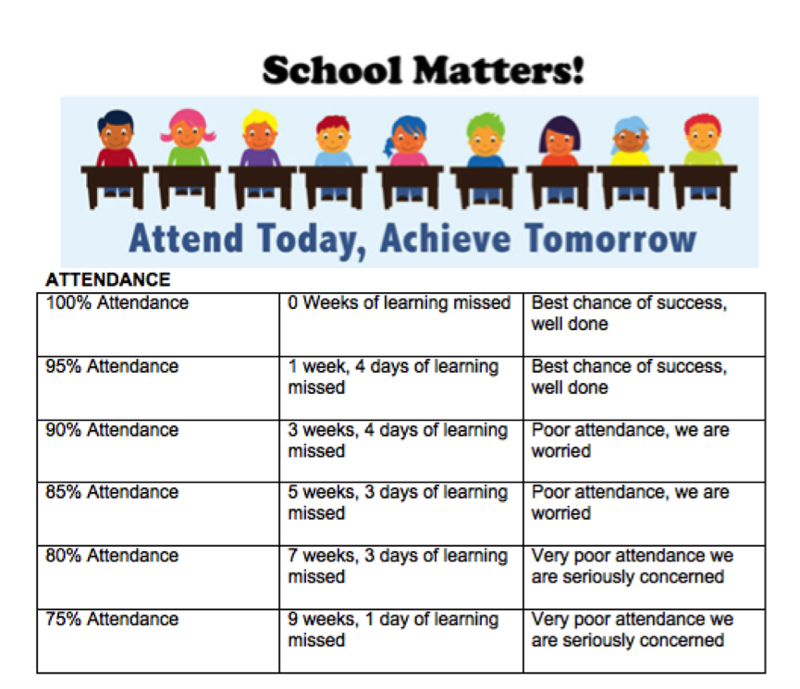 Poor attendance can result in your child missing their education and falling behind in their learning. In extreme cases of poor attendance it can be deemed as neglect. 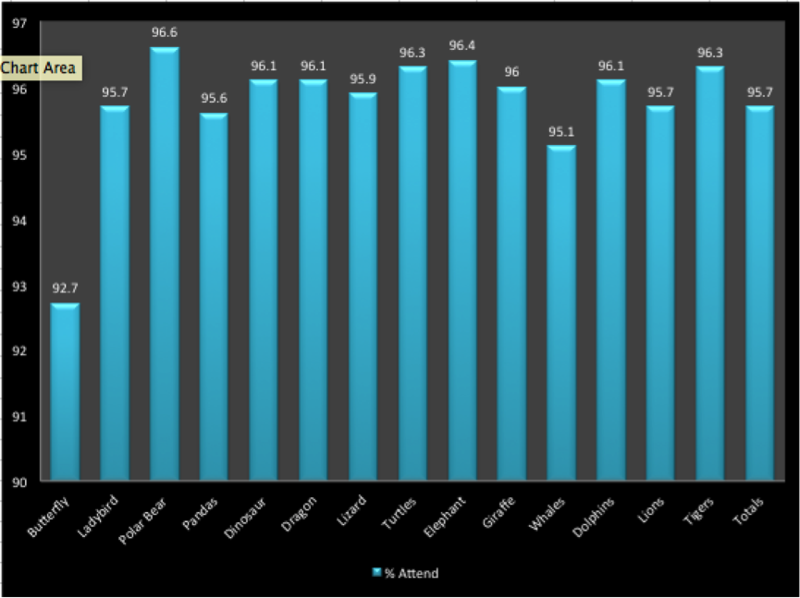 Government policies say that any child having attendance at 90% or below is deemed a Persistent Absentee. This will lead to legal prosecution if there is no future improvement in your child’s attendance. To avoid this for our parents, we will be monitoring attendance very closely and those children who are in danger of becoming a Persistent Absentee will be contacted by school and their attendance monitored. 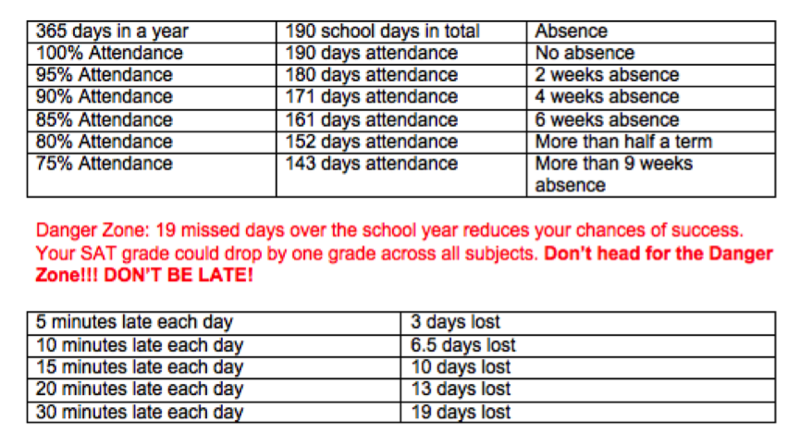 To avoid this please ensure your child’s attendance is at an acceptable level: Avoid taking holidays in term time. If your child is ill, contact school on 0191 2622509. If your child is persistently LATE for school Government policy dictates that legal action could also be taken. Please ensure your child is in our school yard by 8.45 am, ready to enter our school for 8.50 am. If you are running late, please contact school. Thank you for your co-operation on these matters. We look forward to working with you so that your child receives the best education possible. Request of leave of absence during term time. As you may be aware, amendments to The Education (Pupil Registration) (England) Regulations 2006 make it clear that Head Teachers may not grant any leave of absence during term time. Our school attendance policy clearly states that should a leave of absence be taken a Penalty Notice will be issued by the Local Authority. The Penalty Notice is a fine of £60 per parent, per child if paid within 21 days or £120 per parent, per child if paid after this date but within 28 days. Failure to pay the Penalty notice could result in the Local Authority starting legal proceedings against you for the offence of failing to ensure your child’s regular attendance at school.